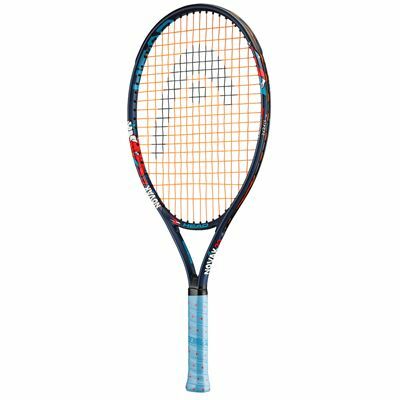 The Head Novak 23 junior tennis racket is an amazing starter racquet meant for boys aged 6 to 8, named after perhaps one of the most successful players of all times – Novak Djokovic. 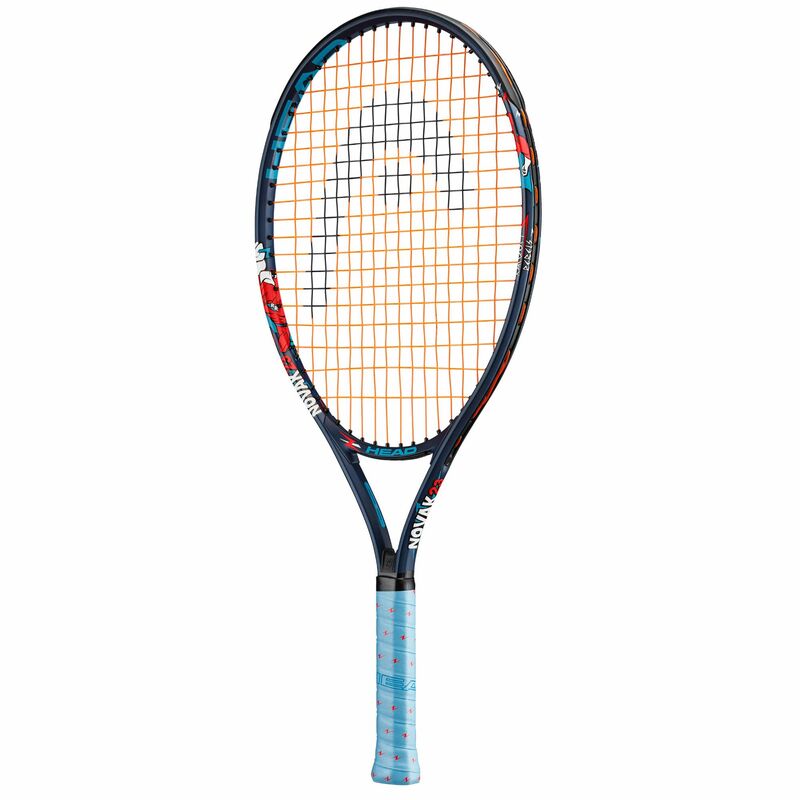 The racket is appropriately adapted to suit young tennis enthusiasts with shorter length and lighter weight of the frame, plus there is the Damp+ technology which eliminates pesky vibrations caused by ball impacts. The racquet is excellent as an introductory frame for learning basics about the game and having recreational fun in the backyard. Furthermore, it arrives strung with synthetic nylon string in a 16 x 18 string pattern, and additionally it’s shipped with a sturdy head cover for proper storage and protection. 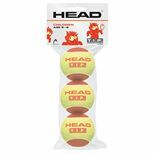 Get FREE Head TIP red mini tennis balls - pack of 3 with this product! for submitting product information about Head Novak 23 Junior Tennis Racket We aim to answer all questions within 2-3 days. for submitting product information about Head Novak 23 Junior Tennis Racket. We aim to answer all questions within 2-3 days. If you provided your name and email address, we will email you as soon as the answer is published. for submitting product review about Head Novak 23 Junior Tennis Racket.